California’s Central Coast is an area of extraordinary biodiversity. Endangered whales, dolphins, sea otters, seals, pelicans and other wildlife thrive here, feeding on rich nutrient upwellings. 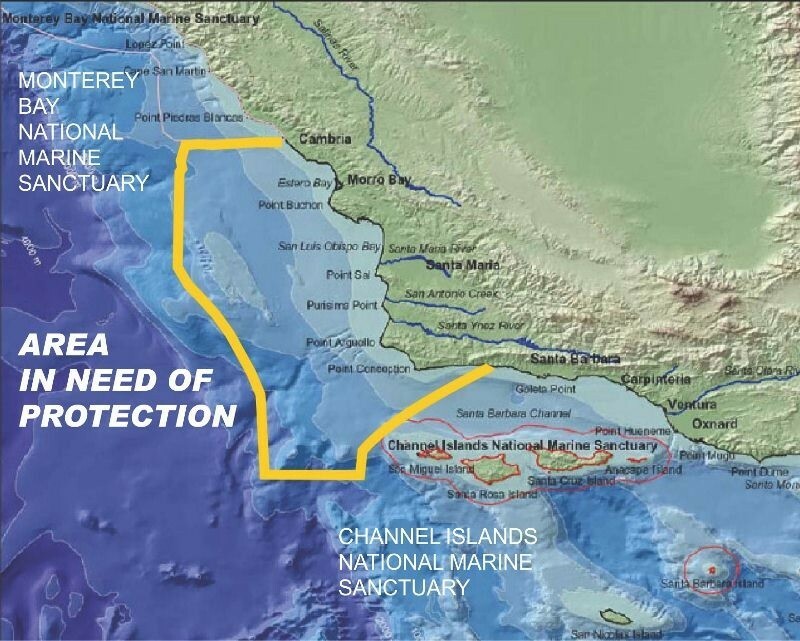 The new Chumash National Marine Sanctuary would stretch from Gaviota, near the recent oil spill, to Cambria, terminus of the Monterey Bay NMS. Sanctuary status for this area would prohibit oil development, seismic testing, dumping of agriculture wastewater, and other threats. Comprehensive ecosystem management would ensure the health of the marine habitat.